Easy-to-wear zippered boot perfect for your warm diving adventures. Choosing dive boots is considered to be no more than an afterthought in a gear-buying shopping spree. This is not what it should be. Keeping your feet warm and cozy is an essential element of a fun dive...in case.. in any dive. 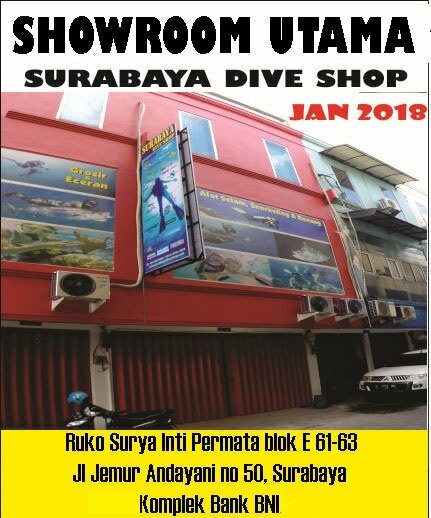 And if your beach dives climbing up and down stairways, or traversing rocky shorelines, your feet definitely need protection, cushion and support to assist you in shouldering your scuba rig long and/or difficult distances. Our Cressi Premium Boot has both sturdy sole and flexible body. It is surrounded by good rubberized protective armor, yet it still feels light on the foot. Anatomical footbed is our wayt of taking care of your feet. It will provide you a cramp-free fit, even for wide-shaped feet. Reinforcement on the top of the foot provides both cushion and protection against the edge of the fin pocket. 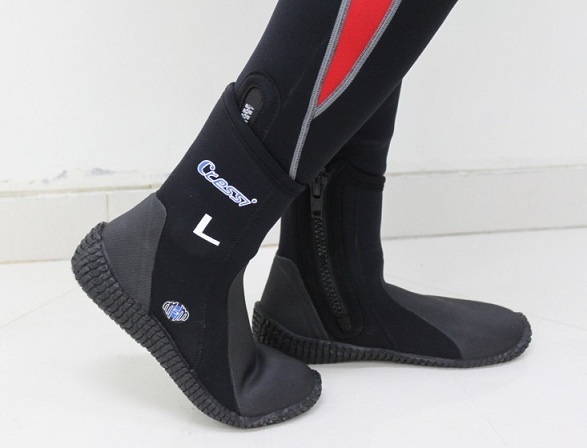 The boot's upper provides lots of overlap with a wetsuit leg and the zipper is backed by a gusseted water dam. The aggressive anti-slip tread is non-marking, a feature boat owners will . Both toe and heel caps offer additional protective armor. The heel cap s a fin strap keeper. Our Cressi Classic Premium Boot is certainly a flexible boot that offers a lot of protection and comfort. Next time you plunged into cold water or traversing rocky shorelines, you'll be glad to be wearing your Cressi Classic Premium Boots. Built-in arch support increases comfort when traversing a rocky shoreline. The reinforced toe and heel caps extend boot life. The heel cap s a fin strap keeper. Durable traction sole. The aggressive anti-slip tread is non-marking, which boat owners appreciate. Double Stiches on each sides to provide the best reliability for rental/dive school market. 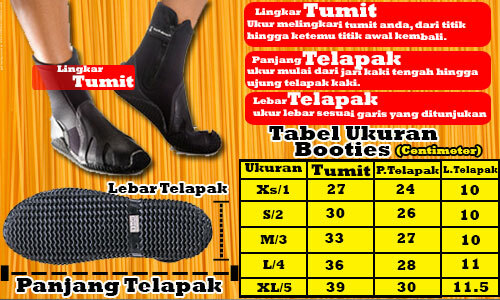 Booties dengan Sole. 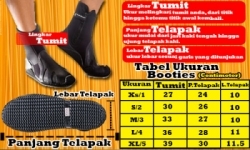 Tebal sole bukan banci karena menggunakan full-size sole. Double-Stitch lock untuk jahitan (tidak ada kejadian satu benang lepas dan merembet kemana-mana).